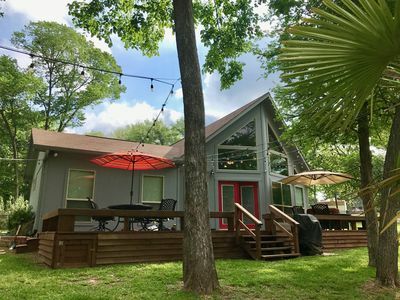 Plan your next family trip at this stunning 3-bedroom, 3.5-bath Malakoff vacation rental home that’s located in a quiet, family-friendly neighborhood! 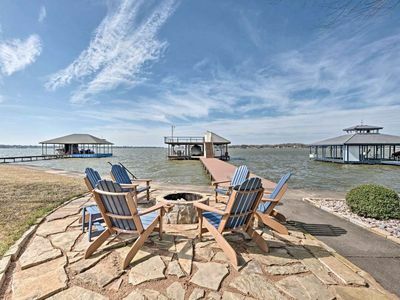 Featuring space to sleep 14, an abundance of modern amenities, a private boat ramp and scenic lake views, this Texas home is nothing short of excellence! 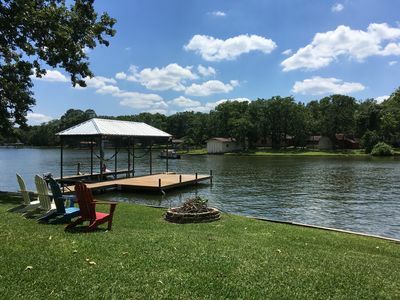 Spend your days boating, fishing and relaxing along the lake, or exploring the nearby restaurants and family attractions! 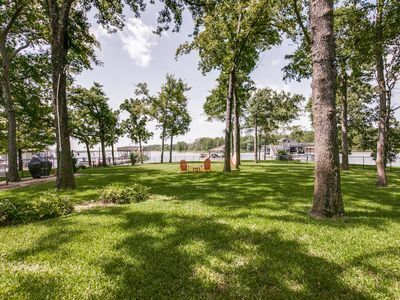 From the moment you step foot into this unique contemporary home, you’ll be blown away by the property’s gorgeous panoramic lake views with over 100 feet of private lakefront! Discover a luxurious interior that features bamboo floors, floor-to-ceiling windows and neutral color elements that provide an aesthetically pleasing atmosphere. 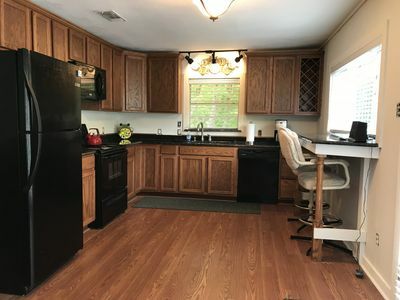 Prepare a scrumptious meal in the expansive fully equipped kitchen, fit for a chef’s dream with granite counters and all the necessary cooking appliances. The kitchen opens into the dining space set for 6, overlooking the main, split-level living space. 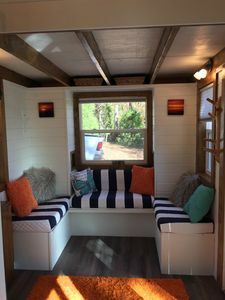 Unwind in the living room on the sofa as you get cozy next to the wood-burning fireplace. 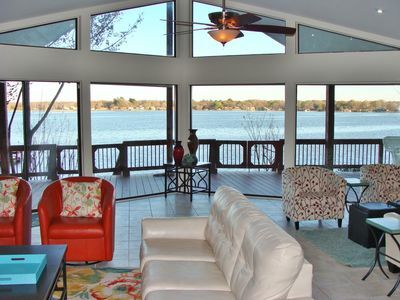 Expansive windows flood the space with natural light, providing calming water views of the lake. 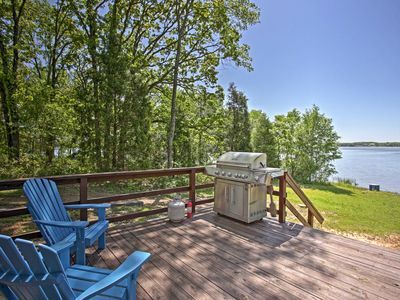 On a crisp evening, fire up the gas grill and enjoy a savory meal with your family from the outdoor dining area on the private deck. 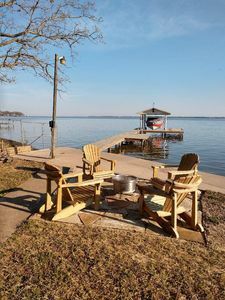 You’ll love sitting back listening to the sounds of boats floating by along the lake waters or stargazing around the firepit on balmy evenings. 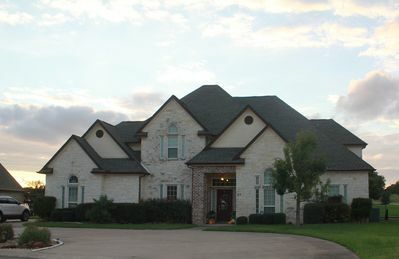 Both master bedrooms offer king-sized beds and additional twin mattresses, while the 3rd bedroom provides 2 queen beds. 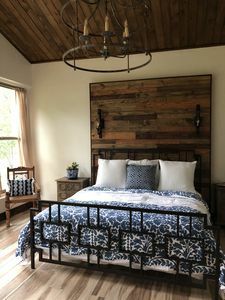 In addition to the pullout beds, there is also an air mattress for any additional guests. 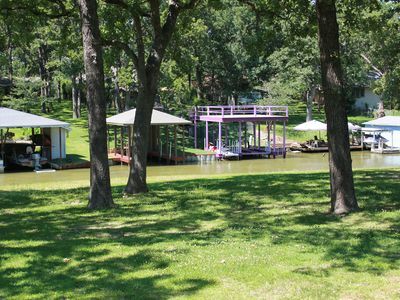 With Cedar Lake right outside your door, your adventures start right from home! 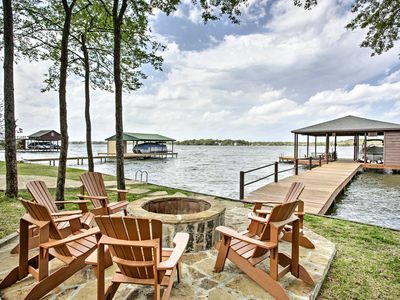 Unload your boat from the private boat ramp and bring along your rods to see if you can reel in the big catch. 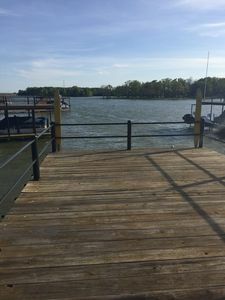 The dock location is one of the best locations on the lake for catching striped bass, crappie, and catfish! 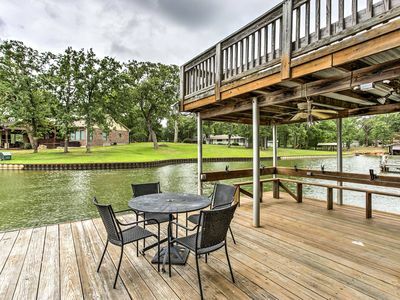 Attach a rope to the boat for wakeboarding, rent jet skis or hop in a kayak to paddle across the calm lake. 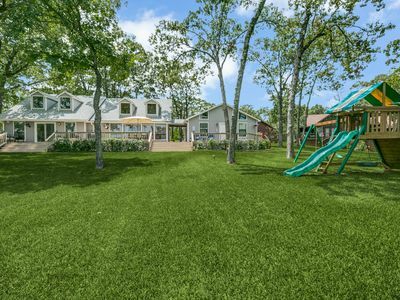 After a day spent on the lake, explore nearby towns like Canton for First Monday Trade days, or Gun Barrel City where the kids will love Whatz UP Family Fun Park! Afterward, check out numerous restaurants and shops nearby for that much needed tourist gift. 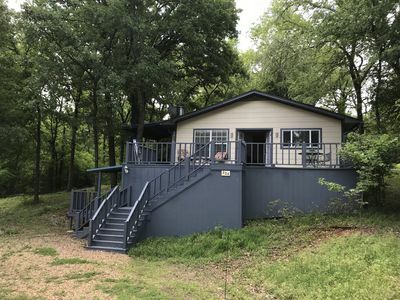 - Amenities include a fully equipped kitchen with granite counters, 2 flat-screen cable TVs, 1 additional flat-screen for video games (PlayStation connected), free WiFi, a fireplace, in-unit washer and dryer, private furnished deck overlooking the lake, private boat ramp and much more. 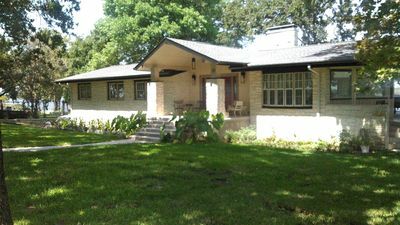 - The outside space is ideal for morning coffee on the back porch or for grilling lunch or dinner. All the little things you might have to run to the store for has been thought of. (foil, spices, dish soap, cooking spray, etc) There is even a large ice maker so don't worry about going to get more bags of ice! 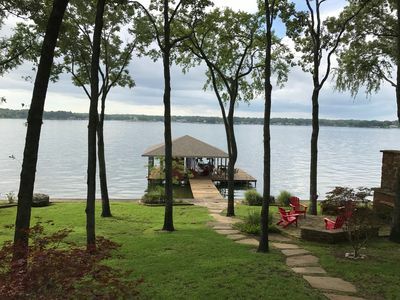 - Beautiful lakeside location! 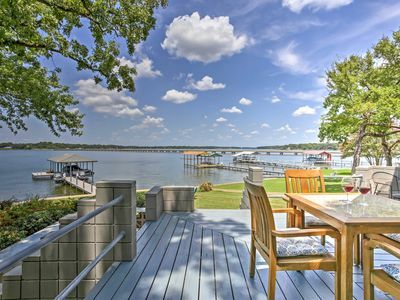 - Enjoy direct access to boating, fishing, kayaking, jet skiing, restaurants and shops! 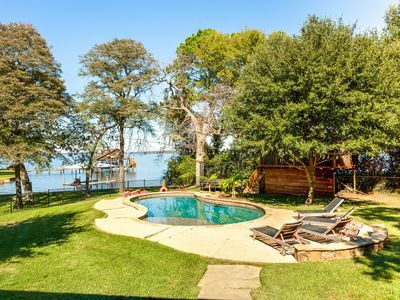 Lakehouse Retreat with open water and AMAZING views! !